Silver is a precious metal, valued for its lustrous sheen and distinctive color. The chemical element has the symbol Ag and an atomic number of 47. Pure silver is a soft, malleable white metal. It is often alloyed with harder metals to make it more suitable for use in jewelry and food service. Silver is traded as a commodity. Its value varies with the purity of the metal, or the amount of silver in relation to the amount of alloyed metal. The purity of silver can be tested at home using nitric acid, calculating density, and checking for assay marks. The purity of a silver alloy is denoted by its millesimal fineness, a number specifying the parts per thousand of silver in a metal alloy. Sterling silver has a fineness of 925 and fine silver has a fineness of 999. This measures the purity of silver used in bullion bars. The easiest way to check the purity of silver at home is to check the assay markings stamped on the item. In some countries, the markings are a requirement for the metal to be designated as pure silver. Sterling silver is a metal alloy containing at least 92.5-percent pure silver. Sterling silver items are usually marked with a “925” or similar marking. 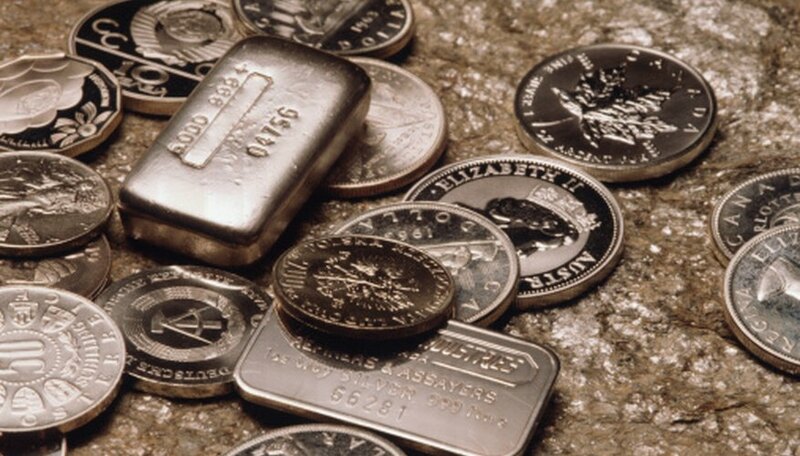 Higher percentages of silver will be denoted in a similar manner. Other common markings are “975” and “999.” In the United Kingdom, sterling silver is hallmarked with symbols representing the level of purity and the origin. Silver alloys react with nitric acid to produce colored products used to determine the level of purity. Nitric acid home test kits come with instructions for conducting these tests and color charts to help you compare your results. To test the purity of silver with nitric acid, first make a deep nick in the metal. Drop some acid into the nicked area. If the mixture turns a cloudy cream color, the metal contains ninety percent or more silver. If it turns green, it contains nickel and is likely silver-plated. The density, or specific gravity, of pure silver is 10.5 g/cm^3. You can determine the density of a silver item at home by dividing its weight in grams by the volume of water it displaces. The closer the calculated density is to 10.5g/cm^3, the purer the item.